You sell heavy or oversized products online. We help you get those products to your customers by connecting you with all types of carriers—parcel, non-parcel, less-than-truckload, truckload, brokerage, and more—to find the most competitive shipping rate at the point of sale. Aggregate shipping rates from all types of carriers: parcel, volume, LTL, and more via API connections. 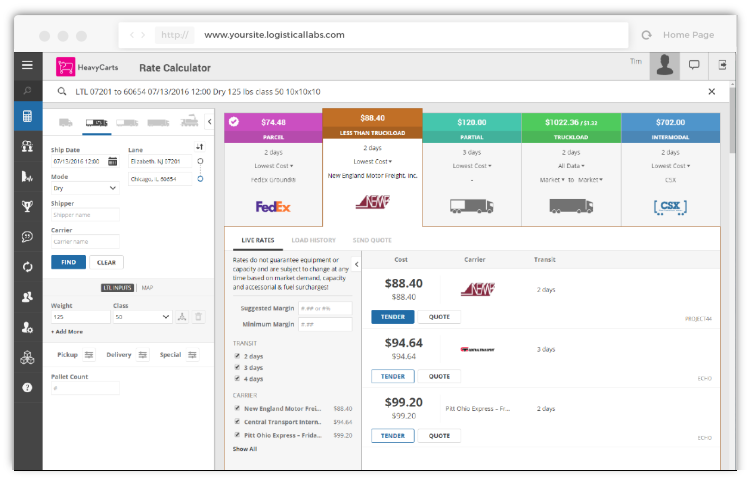 Determine the most competitive shipping rate and mode in seconds. 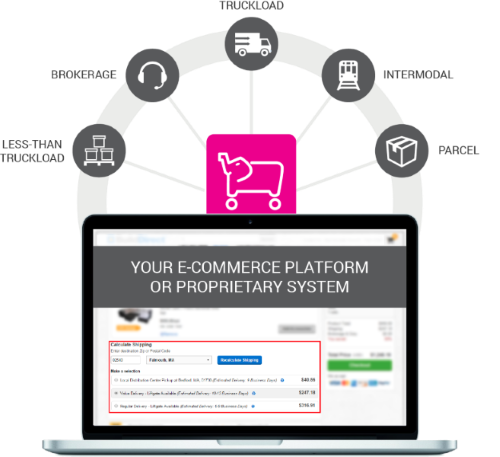 Automatically push accurate shipping data to your online shopping cart or third-party e-commerce portal. FedEx & UPS are nice, but you have so many more options. As a carrier-agnostic platform, HeavyCarts connects you to virtually any type of carrier or third-party logistics provider via API. Automate the process in your e-commerce shopping cart or manage all shipping operations through our easy-to-use dashboard. Either way, you get access to the best rates, your complete order history, and more.